2 + 1 + Me: Picture Keeper + Giveaway!!! Photos, photos, photos - we're always taking photos. Now that most mobiles have a camera we truly can, and do, take pictures anywhere and everywhere of people we're with, places we've seen and the food we eat (I for one do not do that last one - I do not want to tweet what I eat!). We've all heard horror stories about people losing their photos because of some technological disaster or another and these days far fewer people are printing their photos, choosing to store them digitally on their computers and laptops. We've had one of those disasters. Back in 2007 we were quite good at backing up our photos on to disc or memory stick but as we took more and more photos it just became a chore to do and we got behind then had a mini-computer meltdown and lost all the photos of our daughters Christening. 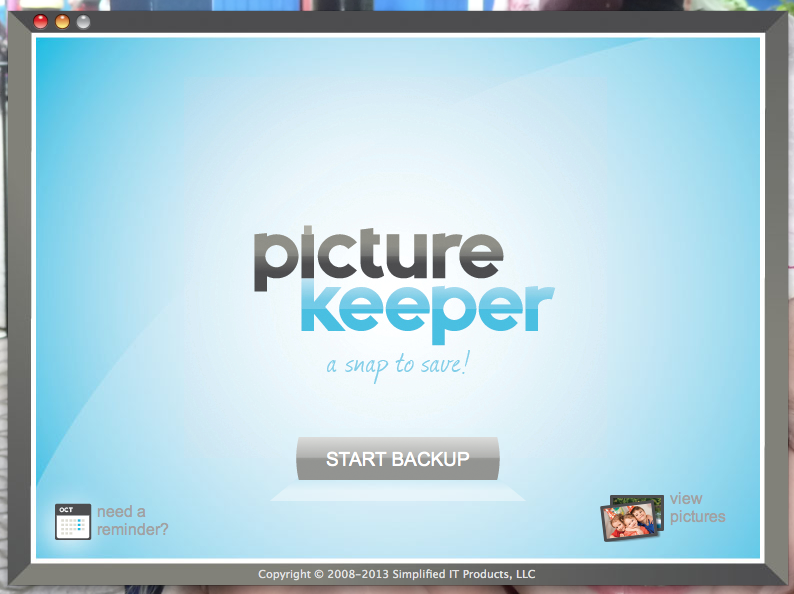 We once again vowed to do regular back-ups - at least once a month. And we did - for about a month!! Again - we let it slide. We now have an iMac and store our photos on there and use Apples Time Machine to back up everything on our computer. My only problem with this is that its constantly plugged in to the computer. In the event of a fire we'd be screwed. 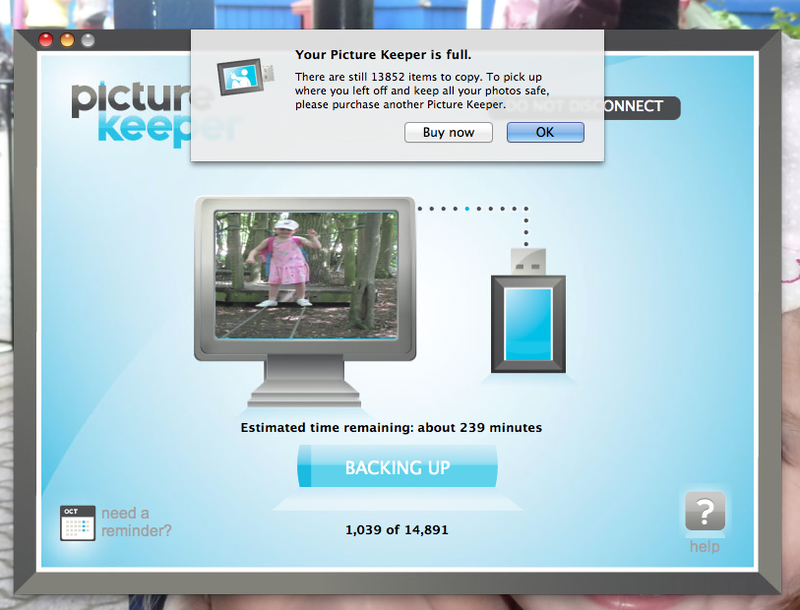 Recently when I was browsing some of my favourite American blogs I saw that one blogger had reviewed a Picture Keeper and it seemed like a pretty damn fine idea. But could it really be this simple to back up? iPhoto on the Mac makes it notoriously difficult to just do a basic back-up of your photos to a memory stick and so I wondered if this could do the job. Have we really got over 15,000 photos??? Time for a purge! And 15 minutes later.....it was done. FULL to the brim! 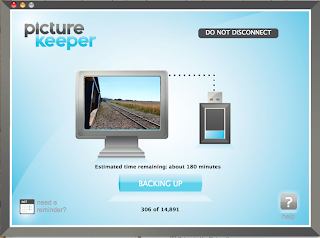 Sadly for me there is still another 13,000 pictures that need backing up so I'm going to have to invest in another Picture Keeper HOWEVER all I need to do with that new one is plug it in and it knows how far it has got with backing up and just carry on where its left off. 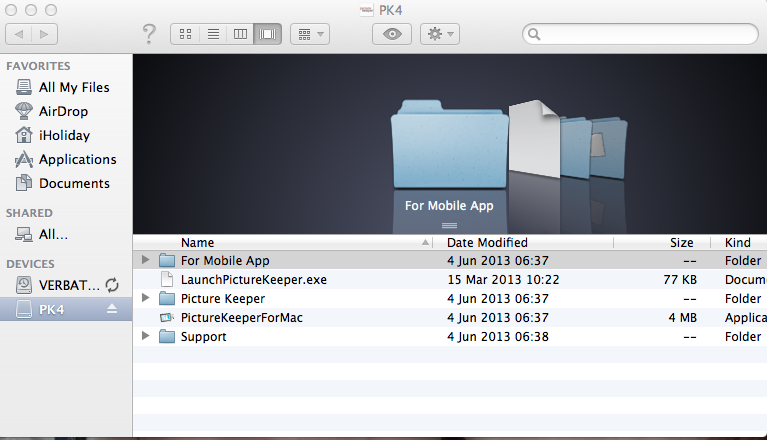 The PK 4 I was sent says on the front that it will store 'up to 4000 pictures' so initially I was a bit disappointed that it had only held just over 1000 - however on the back of the packaging it does explain about the capacities and how it depends on the file size of each photo. It was truly SO simple and SO effective. No software to install. No locating the photos - just plug it in, click start back-up and away you go. It seems to back-up the most recent files first - not necessarily a con but it would be useful to select whether you wanted oldest or newest saved first so you could save the photos chronologically. Think carefully about what size you will need. I would suggest you buy as big as you can afford. Modern cameras take such detailed photos meaning that the file size is larger and so I would suggest most people will need to go with a PK16 at least. Whilst a PK4 is not expensive at £18 you really do need to go bigger. In my opinion YES. Anything that makes something which is a chore easier is worth it. 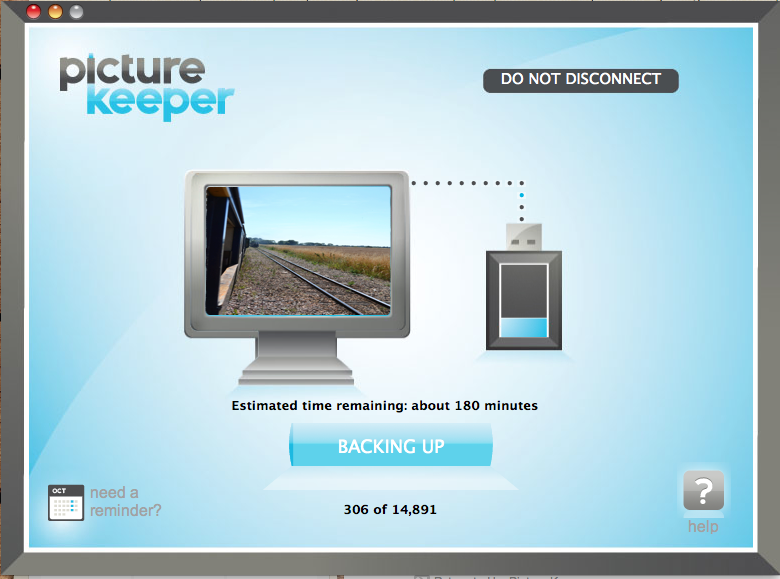 It's a fantastic idea - very simple to use and I'm sure even I can remember to plug something in once a month to back up (and if I can't then Picture Keeper do have a reminder service for this!). I think that most families would find they either needed several of the PK16's or a PK Pro. At £149.99 for a PK PRO on Amazon.co.uk (as at 7 Nov 13) it's not cheap by any means but for peace of mind that all those precious memories are safely backed up I would say it's worth it. If you want to purchase one use the above link and enter '2plus1' at the checkout to receive 15% off + free shipping. 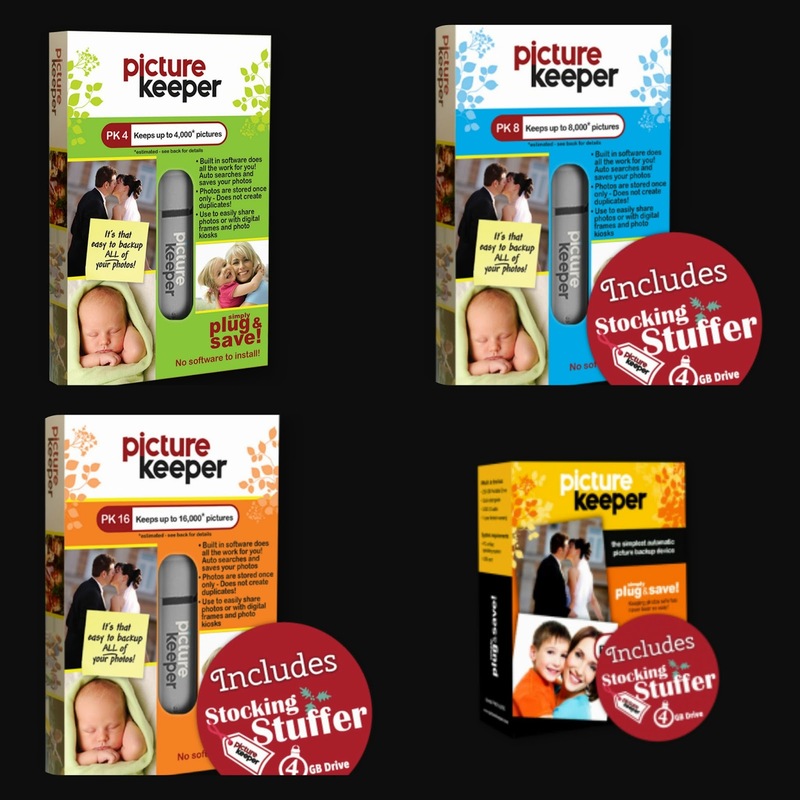 The lovely people at Picture Keeper as well as giving me the product to review have also allowed me to offer one as a prize so please enter below if you would like to win a PK4 of your own. I would love to know your thoughts on it.